From the best live shows to the most fascinating museums, here are a few of Branson’s biggest draws to keep you busy during your stay. 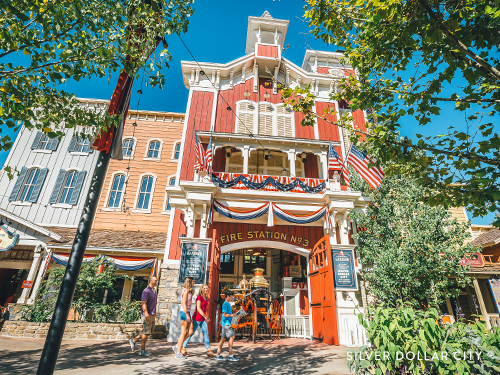 For all-ages fun with a historic twist, spend a day at Silver Dollar City. Dubbed one of the “Top Theme Parks in The World,” this 19th century-style amusement mecca is packed to the brim with more than 40 thrill-seeking rides and attractions, 40 live shows and 60-plus shops and restaurants. Don’t leave without catching a glimpse of American craftsmen hard at work — more than 100 artisans demonstrate the art of glass blowing, blacksmithing, candy making and more … just like they did in the 1880s. 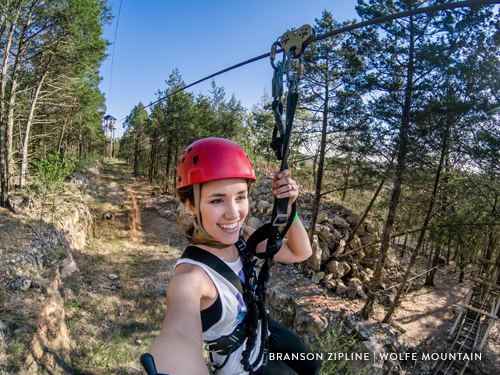 A great way to explore Branson mountains is to zipline through the trees. Ziplining among in the Ozark mountains opens visitors to a different way of enjoying the outdoors. With no experience needed, anyone can zipline no matter their skill level. Seeing the world from a new perspective creates memories for the whole family. Soak up some summer fun at this epic Branson water park. Featuring nearly 7,000 feet of slides, two million gallons of H20 and more than a dozen rides and attractions, including the daredevil-loving slide, KaPau Plummet (the floor drops and sends riders on a 26 feet-per-second free-fall) and Aloha River’s relaxed tubing adventure. 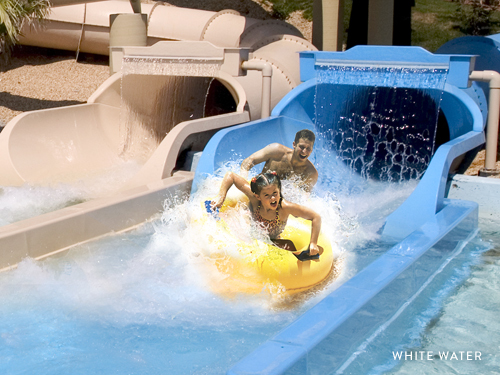 Whether you want wet and wild adventures or a fun way to beat the summer heat, you’ll find it at White Water. No trip to Branson is complete without seeing a world-famous live show. Branson’s family acts are a big draw, making longtime variety shows like Presleys’ Country Jubilee and the Baldknobbers a must-see. The Haygoods, another family affair, dazzles crowds with choreography and instruments, while the Hughes Music Show wows visitors with just their voices. Satisfy your hunger for classic country fun with outrageous stunts, elaborate horse tricks and a delicious four-course dinner at Dolly Parton’s Stampede. And there are dozens of other shows — from musical acts to acrobats — waiting to be discovered. Whether you’re looking for song-and-dance or deep belly laughs, there’s a show for every taste in Branson. Located in historic downtown Branson along the shores of beautiful Lake Taneycomo is Branson’s hub for shopping, dining and entertainment. 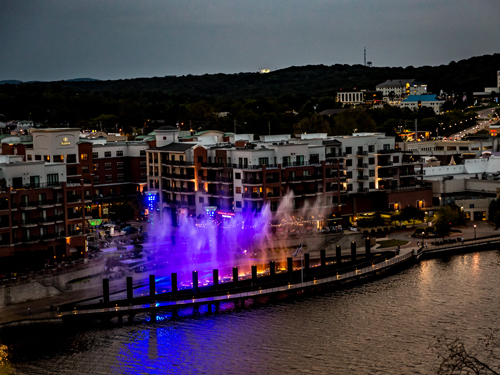 Among Branson Landing’s 100-plus shops and restaurants, don’t miss the real showstopper — a stunning fountain spectacle along the boardwalk with 120-foot shooting geysers, fire cannons and lively music — shows begin at noon daily. 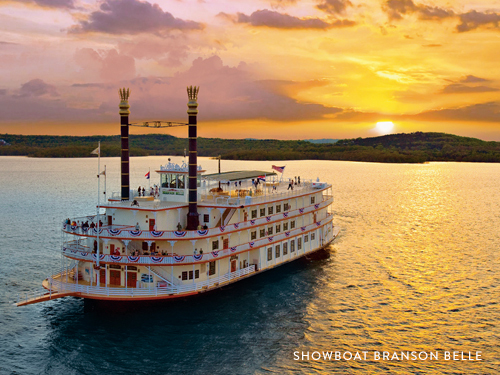 Climb aboard the 1800s-style Showboat Branson Belle for a two-hour cruise around scenic Table Rock Lake. A talented cast of singers, dancers, comedians and magicians entertain the whole family as you chow down on a tantalizing, three-course meal (lunch or dinner). 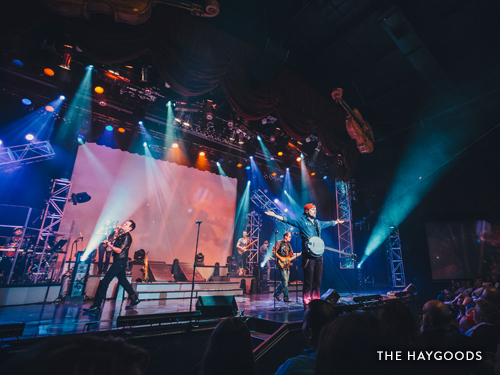 The theater is spacious, the balconies are impressive with breathtaking views of the water, making it a uniquely Branson experience and a riverboat show unlike any other. 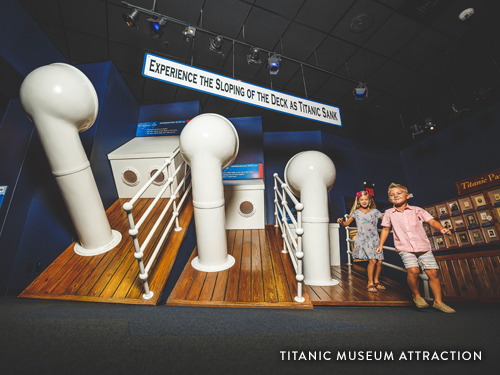 Set sail for a voyage back to the year 1912 when Titanic embarked on its maiden voyage. At the Titanic Museum in Branson, passengers experience first-hand what it was like to be aboard the world’s most famous luxury liner on that fateful day. From meandering the grand staircase to reaching your hand into 28-degree water, or standing on a sloped deck to browsing a vast collection of artifacts, Branson’s Titanic Museum is just the tip of the iceberg. 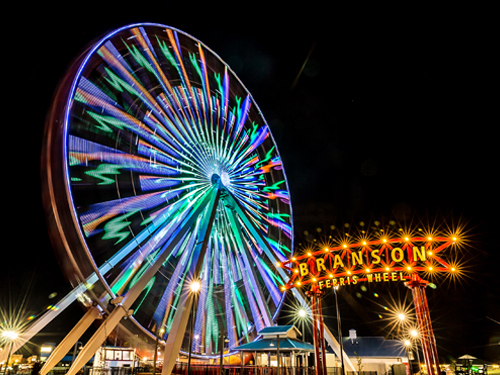 Formerly known as the Navy Pier Ferris wheel, The Branson Ferris Wheel has now made its home in Branson, Missouri. Located in the heart of Branson's Entertainment District at Track 4, the Branson skyline has now welcomed a new addition. Grab your crew, family or your sweetheart, hop in and take the slow ride up and around surrounded by thousands of lights. Standing 15 stories tall, you will have the perfect opportunity to get some beautiful panoramas of the Ozarks landscape. Weird meets wacky at Ripley’s Believe It or Not! in Branson. Designed to look as though it endured the 1812 earthquake that hit New Madrid, Mo. 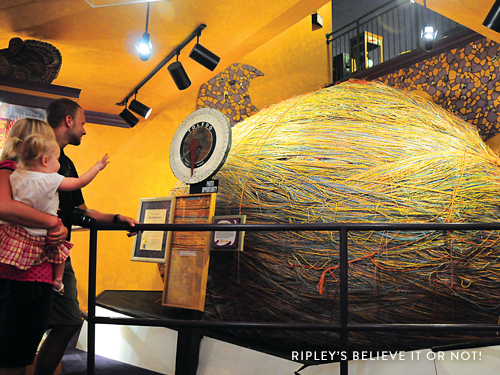 — the largest earthquake ever to hit the Lower 48 — find more than 450 eclectic exhibits and artifacts that make up Robert Ripley’s bizarre collection. Inside the 12,000-square-foot Odditorium, uncover peculiar shrunken heads, an 18th century vampire killing kit, a mammoth Hulk made from car parts, a spinning vortex tunnel and so much more. 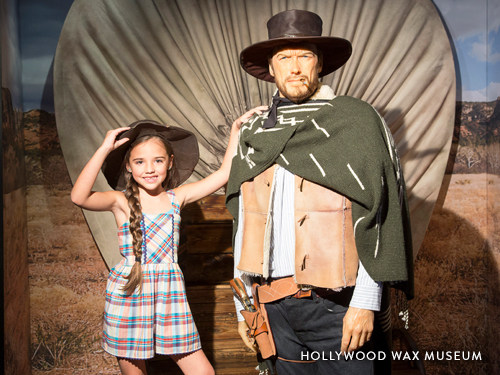 Branson’s Hollywood Wax Museum packs major star power. Arrive camera-ready to walk the red carpet with celebrities like Angelina Jolie, Samuel L. Jackson and Matthew McConaughey, or skip down the yellow brick road with Dorothy and the whole gang. Each life-sized figure looks so real, you’ll find yourself doing a double (or triple) take. From classics and westerns to action films and blockbusters, the silver screen comes to life at Branson’s Hollywood Wax Museum. Brimming with parks, beaches and forests, Branson’s Ozark Mountain Country is a magnet for nature-loving enthusiasts. Anglers can wet their lines in hopes of a fruitful catch at Lake Taneycomo, or head down to Shepherd of the Hills Fish Hatchery for Missouri’s largest collection of rainbow and brown trout. 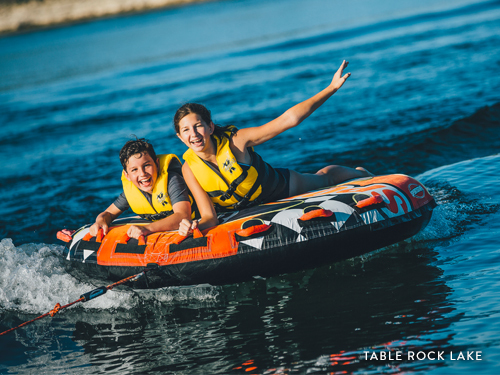 For watersports galore, Table Rock Lake has it all — kayaking, stand-up paddleboarding, water skiing, wakeboarding and more. Rent a boat to explore the lake’s clear waters or roll out your beach towel to relax lakeside on Moonshine Beach. There’s so much to see in Branson! You can find great places to stay and things to do and start planning your trip today! 5Ripley's Believe It or Not!